If you’re one of the many, many women that use a razor/shaver under their arms, then you’ll know exactly what irritated, bumpy and razor-burned underarms look like, right? Not only is it unsightly, but it’s rather frustrating too. As women we want to look and feel our best at all times, and even though our underarms may not be on show for everyone to see, we see them and therefore we always need them to look great! I know many people (along with bloggers) who find talking about their underarms weird, and I’m not sure why. I mean, we all have them and there’s tons of products formulated for the wellbeing of our underarms, so how can it be such a weird topic? Well, whether you feel that it’s weird to talk about it or not, Dove believes that they’ve come up with a solution for those unsightly underarms – a product that can get them looking soft and smooth again – so, I put Dove to the test. On day 1, I shaved my underarms and applied my normal roll-on deodorant after showering. For the next 6 days, I used only my roll-on deodorant and noticed that my underarms were slightly itchy from the hair removal, bumpy and slightly dark from razor burn (which is obviously a result of years of shaving). 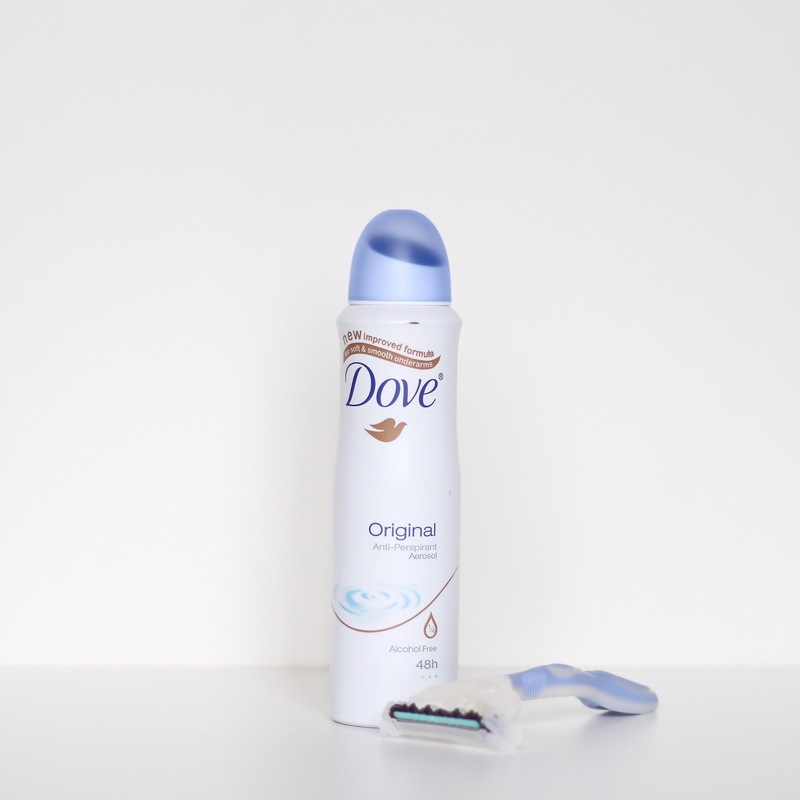 When the first 7 days were over, I shaved again and substituted my normal roll-on deodorant for Dove’s Original Anti-Perspirant Aerosol, which I received for review purposes – and followed suit for the next 6 days. And the results were definitely noticeable. My underarms didn’t itch a bit (even immediately after shaving, which is phenomenal and purely due to the fact that this aerosol is alcohol-free), it was smoother and less bumpy than before. My skin was also noticeably lighter, however all the darkness/razor burn was not completely gone – perhaps a good 15 or 20 days will be needed for that (I will definitely update you!). However, if you are looking for an anti-perspirant that has a fragrance that lasts all day – you’re not going to find it in this particular one. Even though it protects against odour and wetness for 48hours, the actual fragrance only lasts about 6 hours until it fades away completely, for me this is a huge bonus as I prefer my daily EDT to be my scent, instead of an anti-perspirant – but I guess it all depends on you and your preferences. Also, if you mess up and apply it over your clothes instead of directly to your skin, you’re likely to end up with a visible powder-ish stain on your clothing. In all honesty, I really am a fan of this anti-perspirant as it has definitely achieved in improving the look and feel of my underarms – something which other anti-perspirants in the past have failed to do. And the powder-ish stain isn’t an issue for me as I do apply it directly to my skin. So for me, it’s undoubtedly a product that I would purchase and use again and again. And considering that it is priced at R29.99, it is very much affordable for the average consumer – like myself! If you’re not a fan of aerosols, you can pick up the roll-on for R18.99 or the stick variant for R42.99.